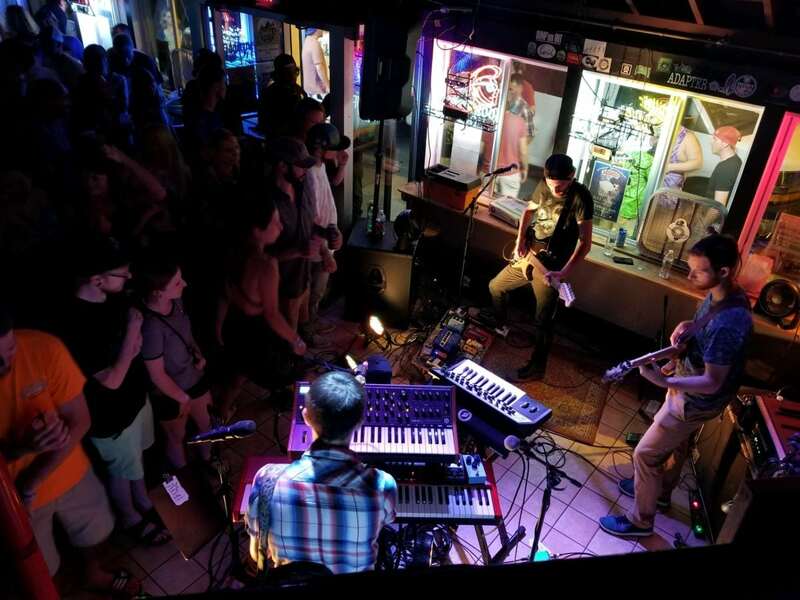 When the doors to The Riverboat Bar in Alexandria Bay opened up a little over an hour before Aqueous was to take the stage on Friday July 20, there was a feeling of anticipation for what was about to transpire. 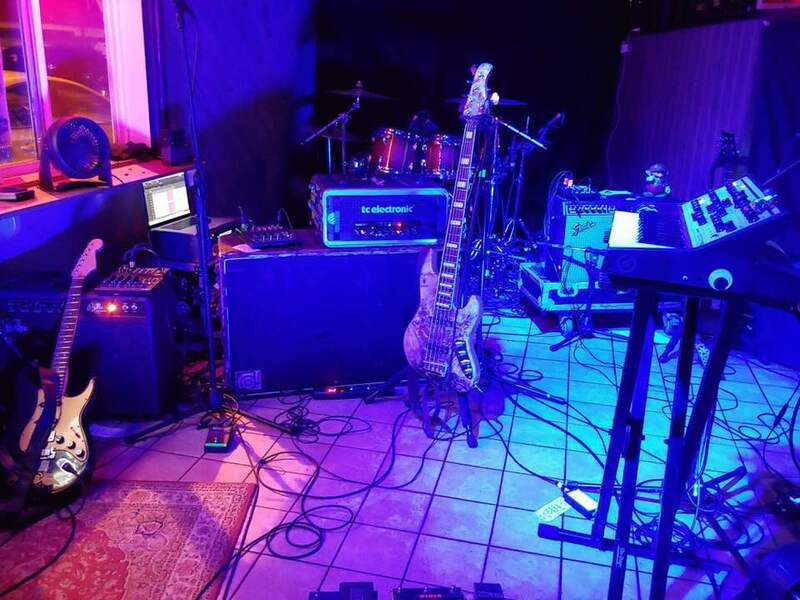 Most certainly the smallest and most intimate room the band still plays in New York State, The Riverboat was about to host the band for the 6th consecutive summer as a part of their Summer 2018 Live Music Series. 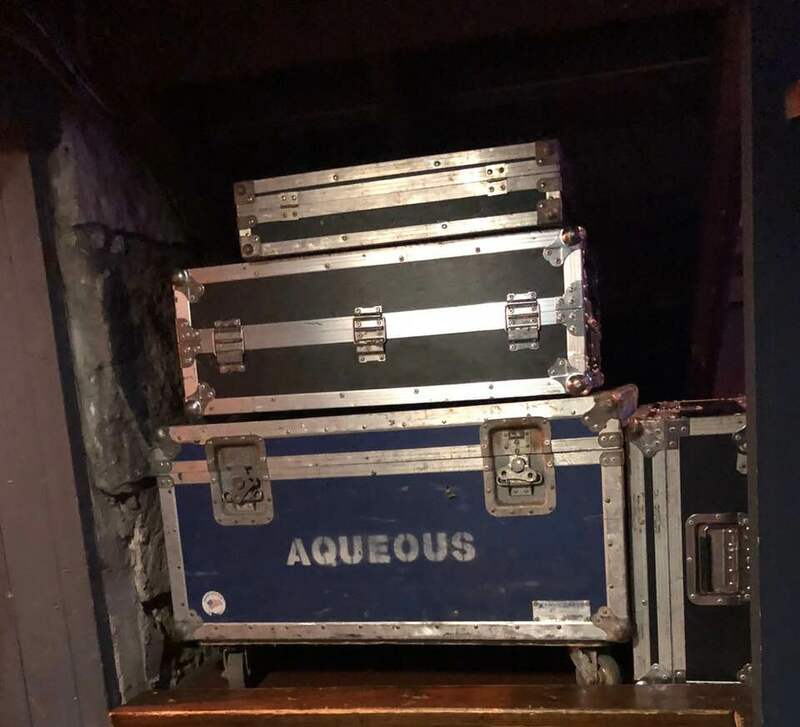 As Aqueous fans began to filter into the venue, many of whom had put in hours of driving to see the show, there was a collective feeling that we were about to witness something special. 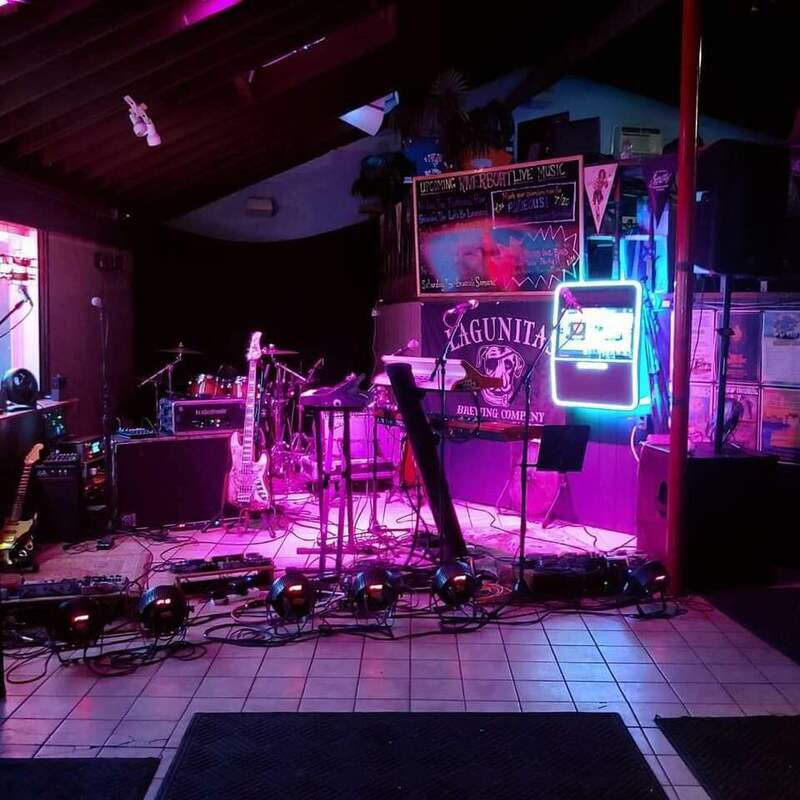 The small stage set up and intimate layout of the room may have come as a shock to those who were now used to seeing the band play in larger music halls and festivals. 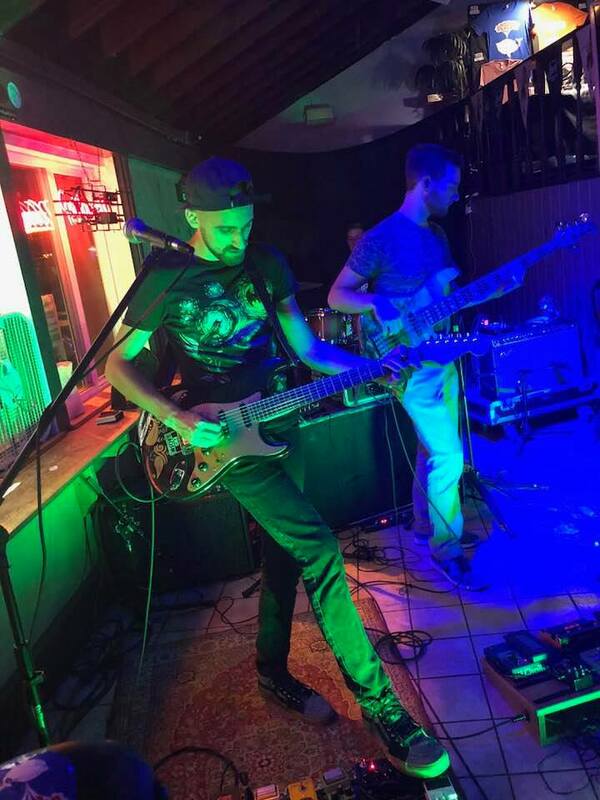 When the band, consisting of Mike Gantzer on guitar/vocals, Dave Loss on guitar/keys/vocals, Evan McPhaden on bass and Rob Houk on drums, made their way through the crowd to take the stage, high fiving their fans on the way, the energy in the room was apparent and everyone was eager for the band to begin their groove rock assault. 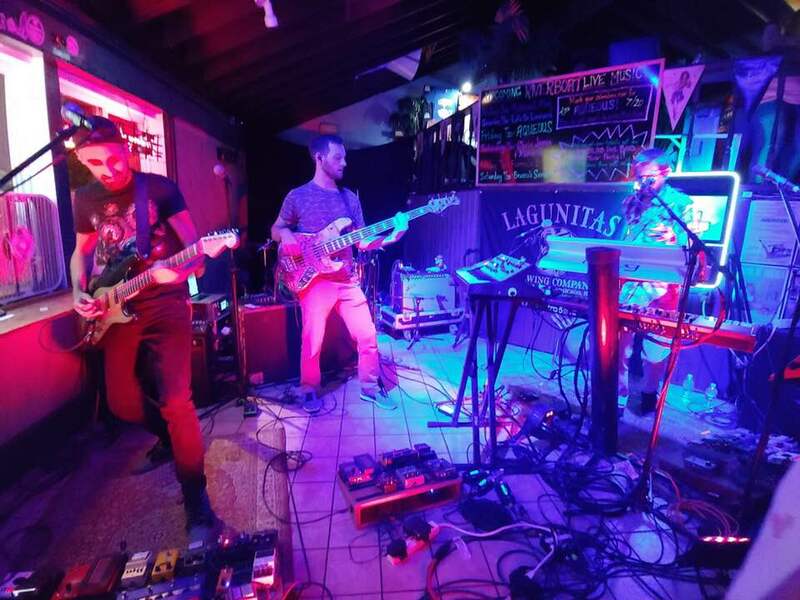 With increasing airplay on Sirius XM’s JamOn station as well as high profile sets at large music festivals all summer, the band has continued to build a rabid fan base. Their fans, or AQuaintances, pack their shows and stream all of their past shows on nugs.net and the fans in attendance were ready to hear if their favorite AQ jam was going to be the opening song of the evening. 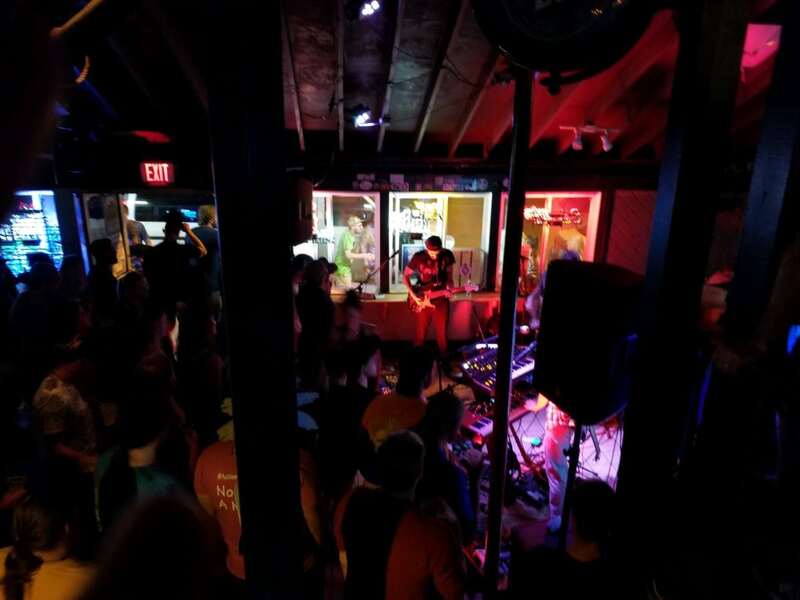 When the band broke into “20/20” from their 2014 album Cycles to open the first set, loud cheers could be heard from the crowd directly in front of the band, on the balcony above the stage and from those still waiting to get in the door or watching through the windows outside of the venue. From there the packed crowd was treated to renditions of “Complex Pt. 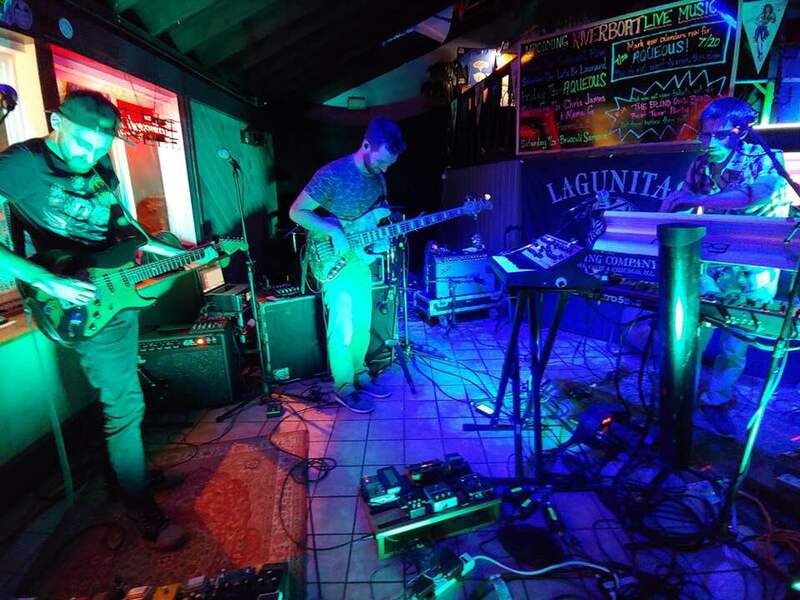 II,” also from Cycles and old favorite “Marty” from 2011’s Giant Something before the band unleashed their breakthrough song “Origami” from 2012’s Willy is 40. At this point there was no mistaking that this was going to be a special and memorable evening. 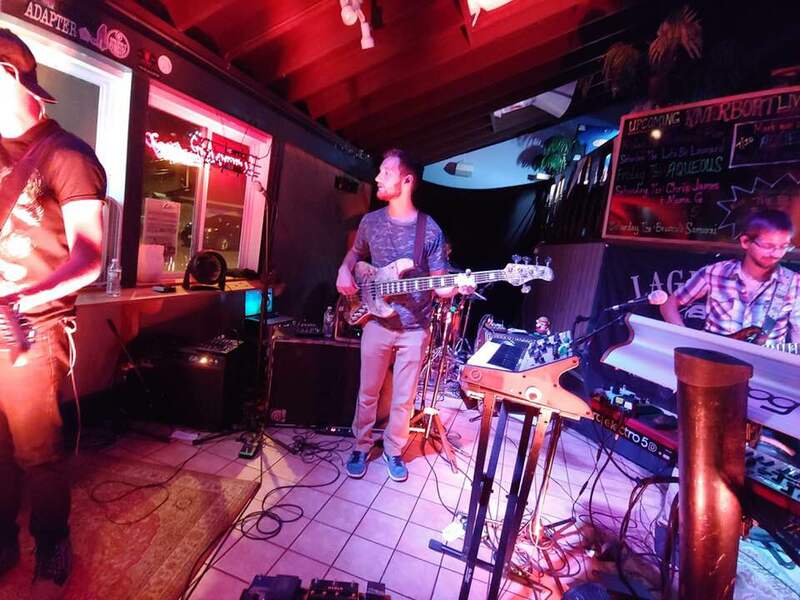 Following “Origami” the band continued on with “Dig It Good” and Steely Dan’s “Josie” before seamlessly transitioning back into “20/20” to close out the first set. The second set was pure fire kicking off with “Strange Times” from Willy is 40 and concluded with a powerful version of “Kitty Chaser (Explosions)” from Cycles with nearly everyone in attendance singing along to the chorus of “Explosions in the sky, reflected in their eyes, another way to get to know the tiny street you live on.” After thanking The Riverboat for all of their support over the years, guitarist and vocalist Mike Gantzer delivered a heartfelt thank you to all of their fans for coming out to the show, supporting their original music and setting the vibe for a great show. 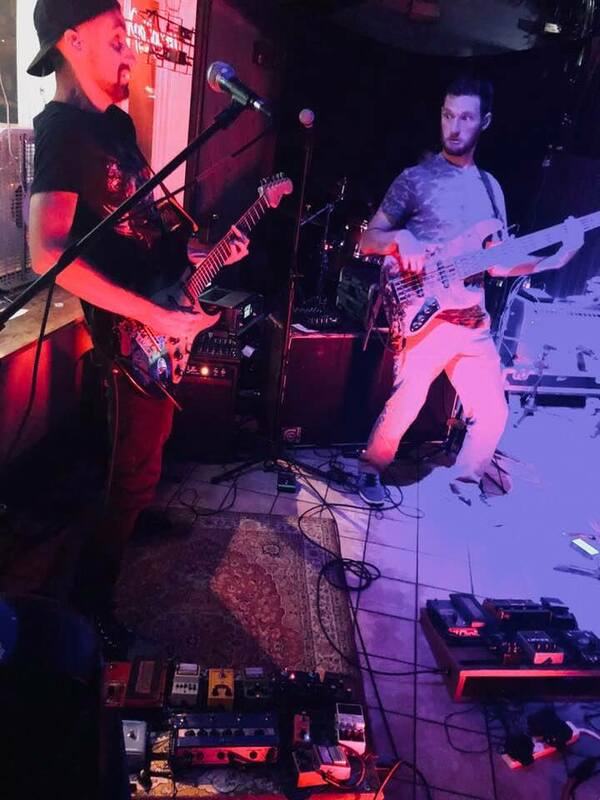 A rocking cover of “Lithium” by Nirvana served as the encore to end a three and a half hour, 2-set show and left those near the front of the stage searching for setlists, posters and autographs to commemorate a great night of live music. 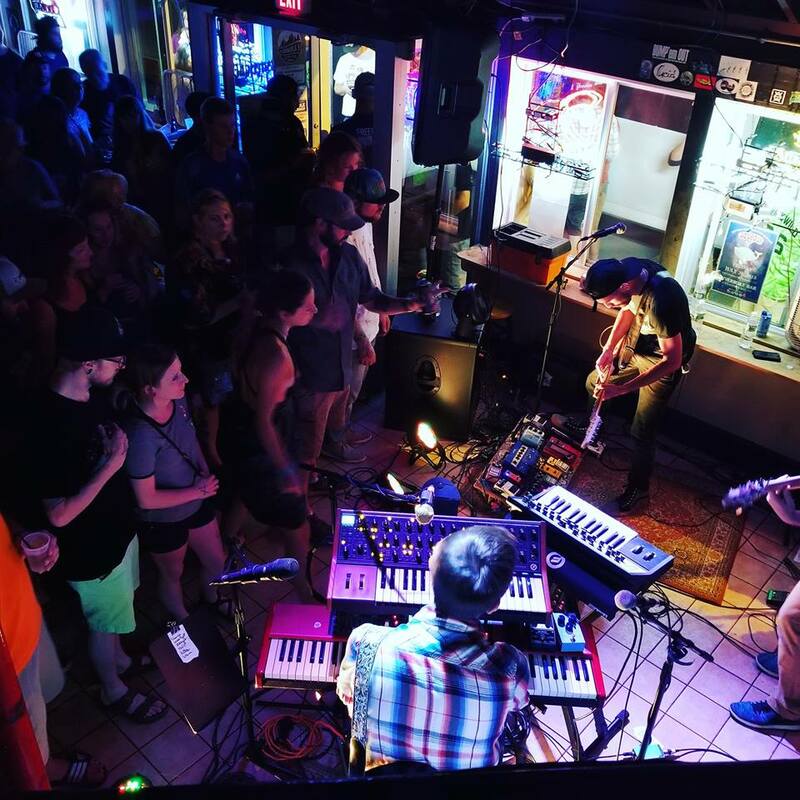 With the band’s profile and fan base increasing by the day, it remains to be seen if Aqueous will return to The Riverboat in Alex Bay next summer for a 7th annual AQ in ABAY performance. 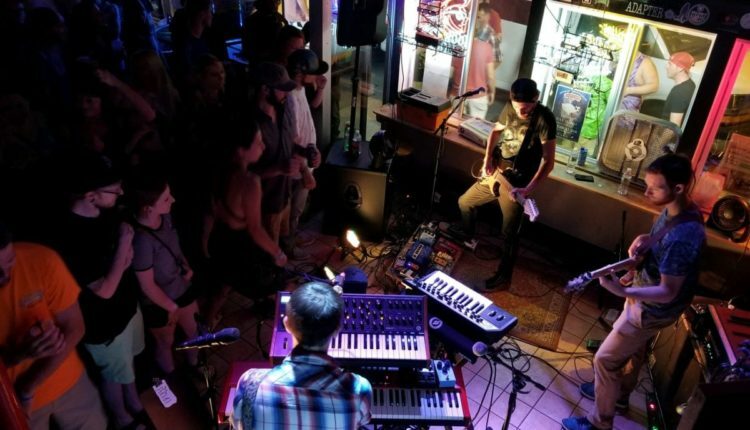 But one thing is for sure: everyone in attendance on this night is hoping for another one of these unique and intimate shows with their favorite band and keeping the tradition alive. 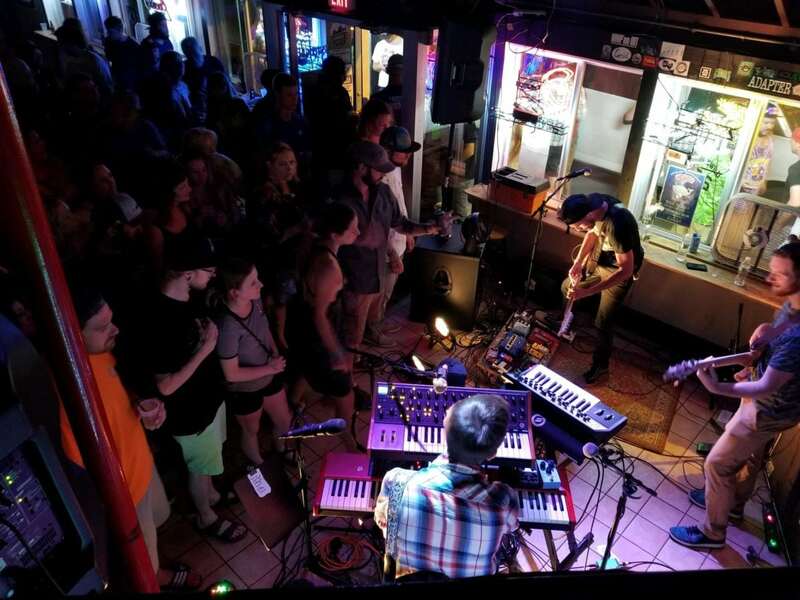 The Riverboat Bar Summer 2018 Live Music series continues this weekend with a FREE show by Albany, NY featuring jam rock favorites Formula 5 on Friday July 27 and Cleveland, OH jamtronica funk band Broccoli Samurai on Saturday July 28. The series continues through the month of August. NYS Music is New York State’s Music News Source. 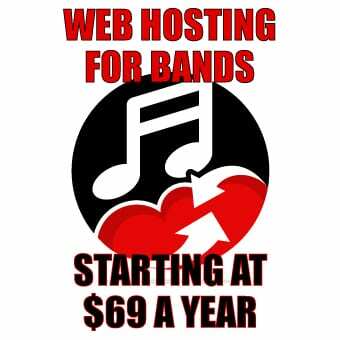 Come here for music reviews, news, interviews and the latest on events throughout New York State and surrounding areas. NYS Music offers a daily mix of live music news, show & album reviews, artist interviews, videos, and much more!